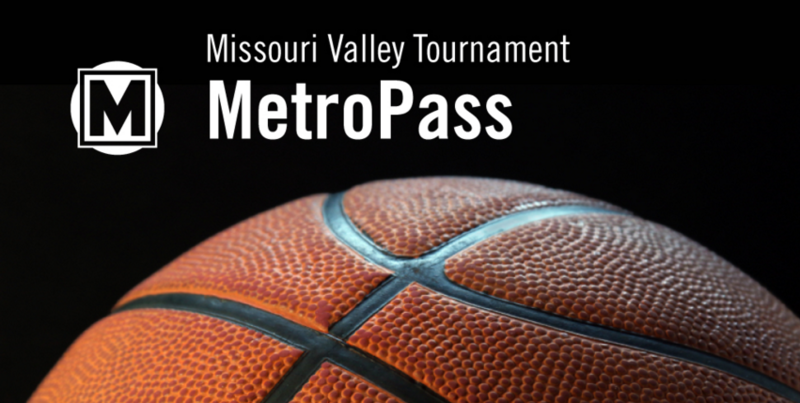 Metro and the Missouri Valley Conference (MVC) are teaming up again to offer the 2016 Men’s Basketball Tournament MetroPass for fans attending this year’s Arch Madness. For $23.50, the special five-day MetroPass will provide unlimited rides on MetroLink, MetroBus and the #99 Downtown Trolley. New this year, Metro will also offer a special two-day $12 MetroPass for fans who are interested in attending games on March 4-5 or on March 5-6. Regardless of which option you choose, the MetroPass is a great way to get to and from the tournament at the Scottrade Center, and also explore all of the attractions, restaurants and sights-to-see throughout the St. Louis metropolitan area. The 2016 Men’s Basketball Tournament MetroPass is available online and at the MetroStore, located inside America’s Center at 7th and Washington. The MVC Men’s Basketball Tournament — better known as Arch Madness — has been held at the Scottrade Center location since 1995.